Expression of your emotions...: Thank you.....U are tooo sweet!! Thank you.....U are tooo sweet!! I am so thankful to you guys....for giving my shop such a warm welcome. I am so grateful for being around such humble and kind people. So here is a card just for you guys. This card is made with some handmade pattern papers. The cupcakes are hand-drawn and painted with acrylic colours. 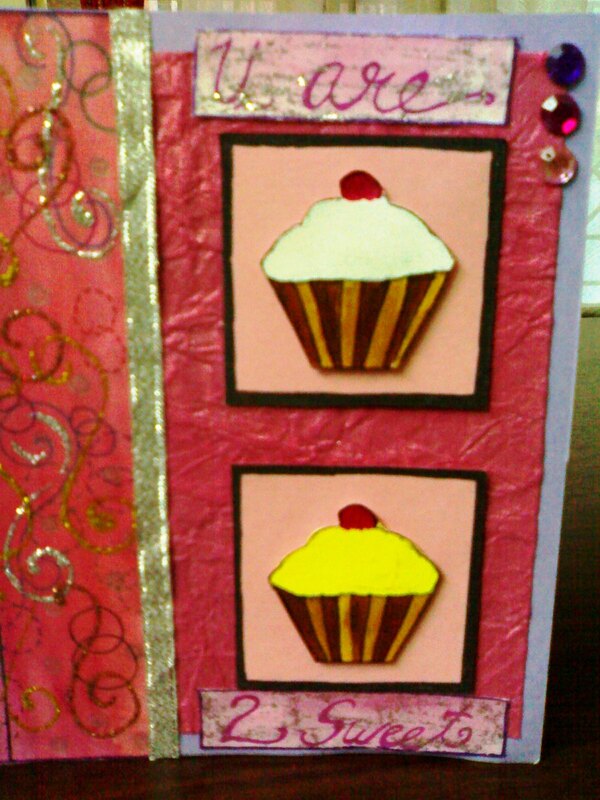 Finished with some bling and ribbon. congrats on opening your etsy shop!!! 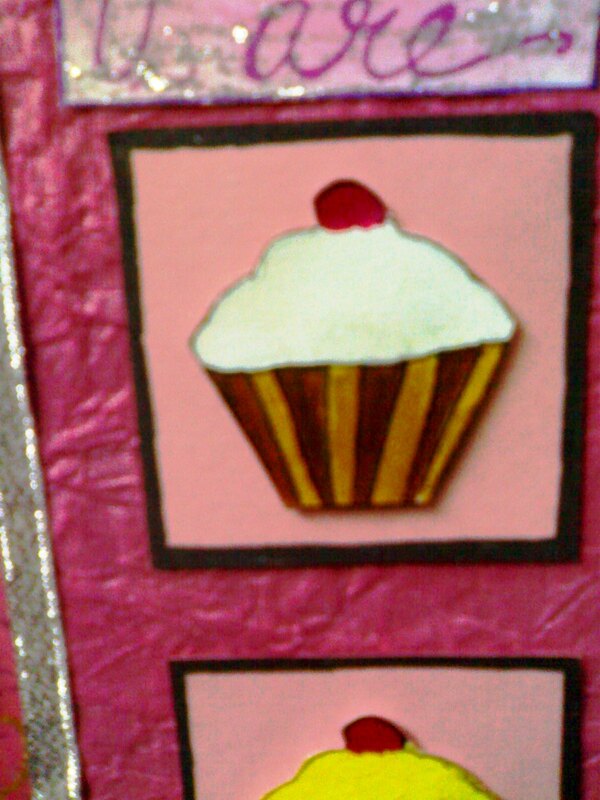 this cupcake card is so adorable :)!! That's really pretty :) Thanks for your comment. you made that card?! it's adorable! and congratulations! thanks for the comment! It's too sweet! We could be followers each other!what do you think?